What characteristics differentiate an average golf course from a championship golf course? It's a good bet that not all golfers would answer that question in quite the same way. However, there are a few quality traits that golfers of all abilities and backgrounds can agree on, and these features can be found in spades at Southern California's top golf courses. A championship golf course defends itself against the very best players without being unfair to the average golfer, and the top-notch clubs in Southern California do not disappoint. While many of today's modern courses are "Tiger-proofed" with course yardages that add up to, in some cases, more than 7,500 yards, a more important signature characteristic of the championship golf courses in Southern California is a variety of short, medium and long holes that test a wide spectrum of golf enthusiasts. In addition, the best courses include additional options in terms of tee box placement so as to allow longer and shorter hitters alike to play according to their abilities, without sacrificing the need to play strategically. The need for careful ball placement off the tees, well-placed bunkers, and challenging greens create tests for even the most avid golfer. At the championship courses, there are a variety of hole designs, and each presents a unique set of obstacles. At the end of the day, many golfers will know that they have been thoroughly challenged, having used every club in their bag. 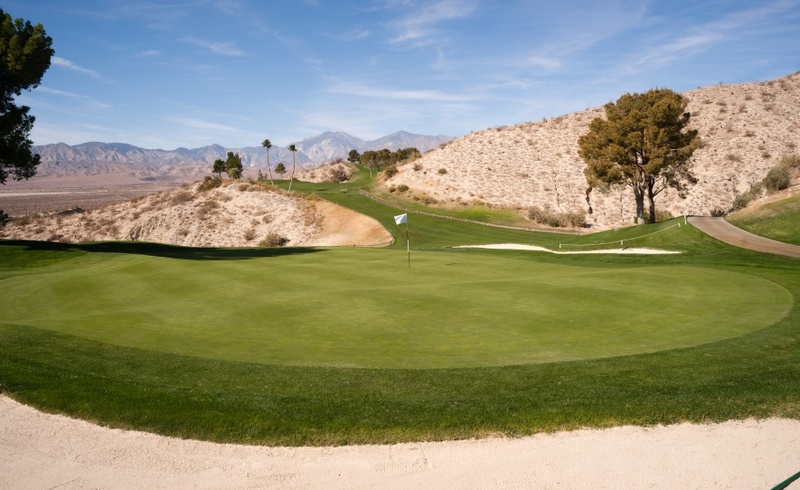 For many golfers, the conditioning of the putting greens is a huge differentiating factor, and if you're one of those who love a true roll, Southern California's championship golf courses will not disappoint. Avid golfers will appreciate the opportunity not only to see their approach shots find a home — the best golf courses feature receptive greens — but also to see a true, smooth, and relatively fast roll on the greens that increase the chance of their putts finding the hole. Water hazards are perhaps the most intimidating feature a golf course can offer the ardent golfer. Whether it’s a creek that lines or crosses a fairway or a pond or lake that helps protect a green, menacing water hazards make even the best golfers shudder with anxiety. Safely navigating these water hazards provides great satisfaction among even the most skilled players. Water hazards are a signature feature of Southern California's championship courses, which offer an array of challenges that add to the experience for golfers of all abilities. Whether it's lush fairways, silky bunkers or manicured greens, the best golf courses in Southern California are known for their lavish landscaping. The grounds crews at these courses take pride in the details from tee to green and everything in between, providing a gorgeous backdrop to the golf experience. But even the most diligent greenskeepers can only do so much. The great courses of Southern California are blessed with mature trees and shrubbery and various other natural characteristics that create a foundation for the cultivated fairways, bunkers and greens mingled throughout. Studies have shown that course conditions and design are more important to avid golfers than their score! Yes, golf can be frustrating at times, but serenity is found at some of the expertly designed and manicured courses in Southern California. True golf enthusiasts appreciate their surroundings, and some Southern California golf courses offer eye-popping views. The area's topography of hills and valleys provides an even more picturesque experience for the avid golfer. Some of Southern California's best courses are free from encroaching homes and busy roadways that can take away from the golf experience. Natural features in SoCal are diverse, and its championship golf courses allow golfers the opportunity to take great shots … not only with their golf clubs, but also with their cameras. It is generally considered that classic courses were built before 1960 and modern courses after that time. Earlier-built courses used the natural topography given for their routing, while more recently-built courses utilized the use of heavy equipment to move the landscape, creating a more contrived design. Pre-1899: The "architects" of this day spent only one or two days on site to stake out the tees and greens. They made few decisions because they didn’t have the ability to move much land. However, the lesson learned from studying the works of these early designs is timeless: nature, as opposed to money, providing enduring challenges. 1900-1937: Architects began to move and shape land to create hazards and add strategic interest. Such work originated with the heathland courses outside of London and then was brought to America, where the term ‘golf architect’ was coined around 1910. The Roaring Twenties became considered as the "Golden Age" of course design. 1949-1985: The so-called "Dark Ages" of course design, when courses were based on length, lacked variety and offered few options. In the mid-1980s, architects manufactured courses with immense visual impact but that often lacked charm or enjoyment. In addition, these penal courses proved to be expensive to maintain. Only a handful of courses from this period are widely respected. Present: With every imaginable tool available, modern architects have unprecedented options to shape the land. As the new century began, architects again appreciated the subtleties of the existing land and tempered their impact upon it, returning to presenting classic challenges and enjoyment of the game. While golf course architecture is a subjective art form, key tenets that have stood the test of time are artistic bunkering, routing topography and green contouring. Courses that are strong on these attributes are more fascinating than others, which is why such courses continually beckon for a return game. Other elements that attract certain golfers are courses with rich history and/or tournament credentials. Whether it’s a functional practice area, great food and drink, a well-organized pro shop, or the countless other amenities that management can bestow upon its guests, Southern California's championship golf courses cater to the golfer's desire to feel welcomed at their facility. No two experiences are alike, but suffice it to say that the quality of the “19th hole,” for some, is the stamp that authenticates a truly great day of golf. Different golfers have different needs. Some golfers appreciate availability and faster play. Generally, private clubs and higher-end daily fee courses provide ease of access and make proper pace of play a priority in management of the facility. What do you think makes a championship golf course in Southern California?